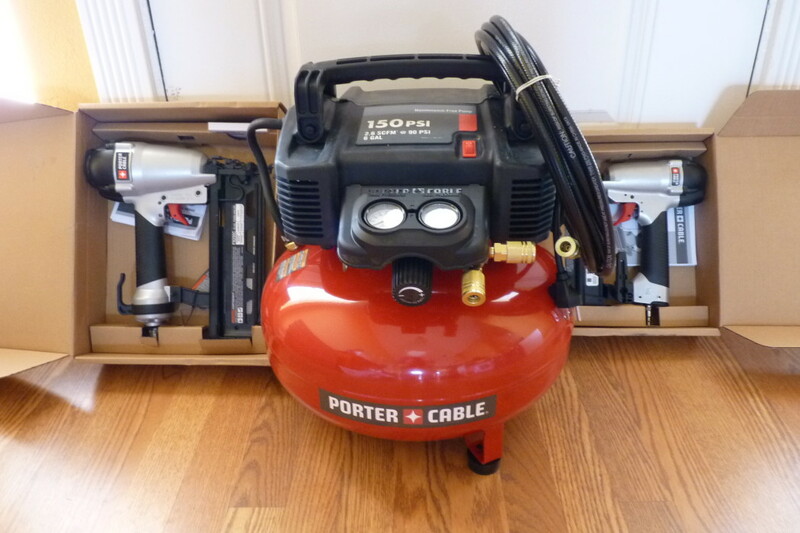 I ordered a Porter Cable Two Nailgun & Compressor Kit – 150 PSI Compressor, Model# CF6221 from Northern Tools and got to use it first time when applying the trim to the bedroom makeover. The kit comes with the compressor (which you can use with other air tools), a brad nailer and a finish nailer. Don’t let the picture fool you, that compressor is BIG. It’s not heavy though and I can easily lift and transport it with one hand. I wanted a larger size compressor because I wanted it to be able to do just able anything I would throw at it. First I read through the extensive instructions. Don’t skip this step! 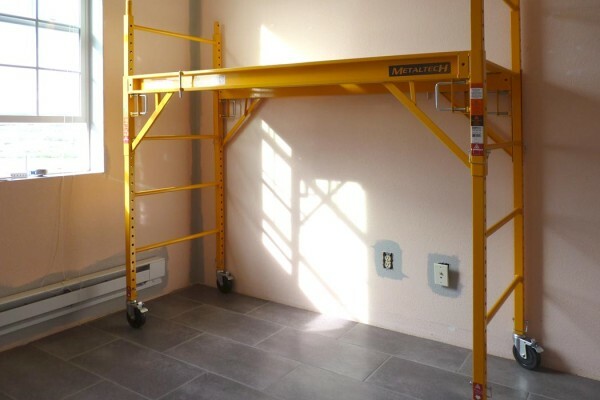 While everything looks pretty straight forward, there are some important safety precautions that you need familiarize yourself with. Read it. Learn it. Heed the warnings. I bought the compressor and the brad nailer into the small bedroom I was going to be using it in. I attached the hoses and equipment per instructions and turned on the compressor so it could build its initial pressure in the tank. Oh. My. God. The compressor is LOUD. Especially in that small room. 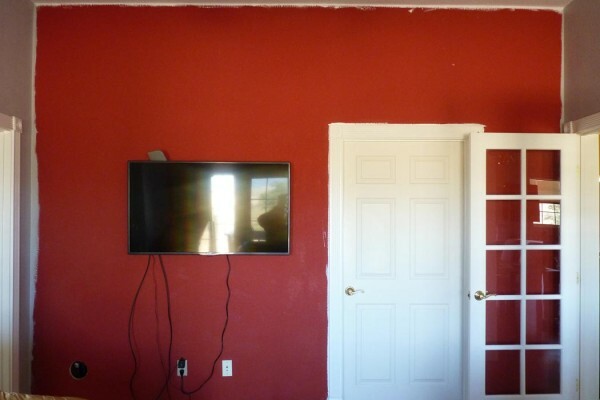 I think outside or in a larger room, it would still be loud, but not like this. Get yourself some earplugs. 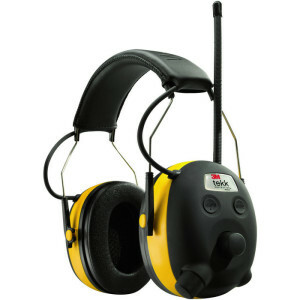 If you like to listen to music while you work try 3M Tekk Protection Work Tunes AM/FM Radio/MP3 and Hearing Protector, Model# 90541-80025V . I don’t like to listen to music, but Kristi at Addicted2Decorating.com highly recommends them. The initial pressurization took just a couple of minutes and then the compressor cuts off . I got three walls of trim done before the compressor kicked back on. I just about wet my pants! Yes, it was that sudden and loud. Plus I was, at that point right next to the compressor. OK, so you get the idea – get yourself some hearing protection. 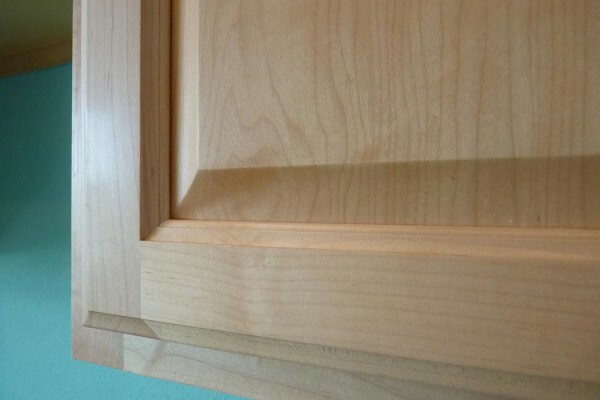 Also, when using the brad nailer, there is a “pop” that happens every time you nail. It’s not scary loud, but protecting your hearing is never a bad a idea. Enough about that. Let’s get onto how the nailer actually worked. It worked like a dream. The tool was light weight, easy to use, trigger just heavy enough to give you resistance but not to stiff that it was hard to pull. Adjusting the depth of the brad was as easy and turning one adjustment. I have never used a pneumatic nailer before, but I tell you what, I will never nail without one again. I finished putting the trim down in the entire room and closet in less than 30 minutes! I can’t wait to try out the finishing nailer AND using my new paint sprayer with the compressor when I paint the doors. 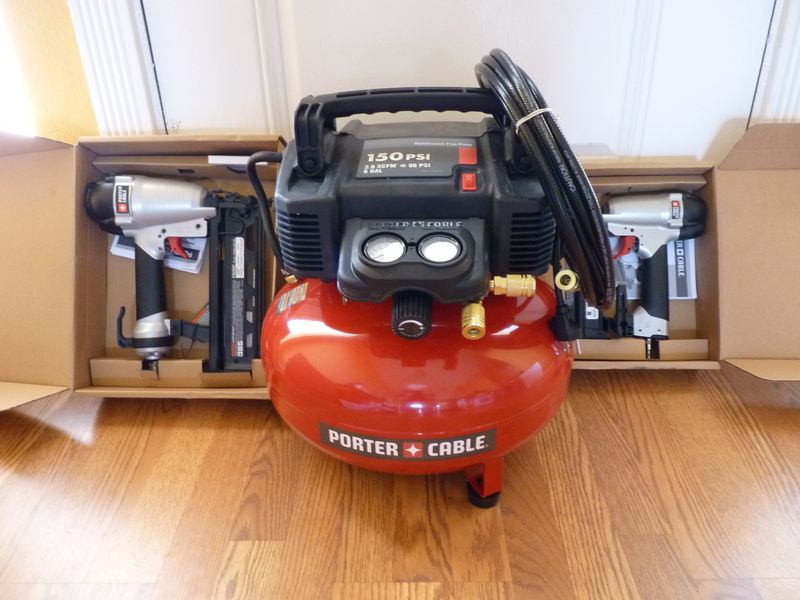 The price is $329.99 for the Porter Cable Two Nailgun & Compressor Kit – 150 PSI Compressor, Model# CF6221 compressor which includes both the brad nailer and the finish nailer. It is an investment I would definitely make again.